A cloud-based infrastructure allows you and your employees to share, edit, and publish documents in a unified system, improve communication, e-mail, increase marketing abilities, and enhance your day-to-day business processes. Getting information to and from the cloud has never been easier or more affordable. Because these services are hosted by the experts at FullScope IT, you'll never have to worry about management, maintenance, or equipment that keeps them running smoothly. Their dedication to providing excellent service is unparalleled! FullScope IT became our IT support professionals in 2010. Their dedication to providing excellent service is unparalleled. As we continue to grow, FullScope makes sure our IT service demands are not only met but exceeded! Thank you! FullScope IT came in and efficiently worked to solve the many problems we had. He was knowledgeable, friendly, and was able to fix issues in minutes that other IT people couldn't solve in days. FullScope was able to resolve our painfully slow network with timely and well planned solutions. They were also able to coordinate with other companies to ensure the job was completely to our satisfaction. Time and again. Highly recommended professionals! FullScope has implemented managed our IT infrastructure for over 7 years. They have also managed the server for our EHR system. We recently went through a server replacement which has greatly improved the response of our system. The FullScope team is very responsive to issues and can generally resolve issues promptly. I can recommend them without reservation. Courteous, Reliable, Proactive, and Zero Downtime! I highly recommend FullScope IT. Our IT needs are met in a timely manner and since we have switched to FullScope IT, we haven’t had any major issues. They updated our system and are proactive in making sure everything is continually updated appropriately and consistently. The FullScope IT team is efficient and takes care of any issue that may arise immediately. The entire staff is courteous and reliable. They are a great company to work with and I give them an A+. Ryan and I have a number of mutual clients and he is committed to great customer service, technical expertise and getting the job done so his clients and can focus on their business. Thanks for being so responsive! You guys are great! Always available when I need assistance. I have not experienced an IT support team as responsive and helpful as FullScope IT! It was just my luck that I stumbled across Fullscope IT. Since we began our services with them we had a complete overhaul on our machines including our server and the customer service I have received from Kim and Alan throughout the entire process has been amazing. Ryan and the rest of the staff combine knowledge and expertise along with good old fashioned service to provide a positive experience. FullScope IT has been a tremendous asset to Spectrum Water Coolers. Prior to hiring Ryan and his firm we had consistent down time and IT issues. Since hiring them we have had none! They are highly responsive to our needs and will show up within hours if you need them. I would recommend them very highly and hire them again. It is very hard to trust someone with all of your technology needs but it was an easy choice with FullScope IT. I am very pleased with the knowledgeable staff, super quick response time and great overall security we receive. FullScope is very responsive and have a great team. FullScope is very responsive and have a great team. 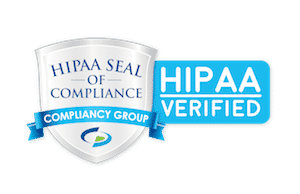 Their knowledge of HIPAA and the changes in security has been a great asset. With the many challenges in the healthcare industry it is great to work with a vendor you can trust. FullScope handles our IT needs so our physicians can concentrate on patient care. FULLSCOPE is the Bomb Diggity! They've been our IT support for over a year, gotten us over many infrastructure hurdles and do a great job for us! They are prompt and thorough in fixing our IT issues. We have been really happy with the service that Fullscope has provided to us over the last few years. They have assembled a team of strong professionals who not only work on the technical issues, but help our employees navigate through technical issues. They are prompt and thorough in fixing our IT issues. I have recommended them to some other companies I know that were looking for similar services. We have been very pleased with the solid performance of Ryan and his staff. Since we started working with FullScope, our IT issues have disappeared and we can focus on our jobs. MacMachine is very impressed with Ryan and his team at FullScopeIT. We required 100% up-time of our servers and they were able to meet these demands for our company. Switching to a virtualized server environment seemed intimidating at first, but with a partner like FullScope, I know we are in good hands. When we were selecting vendors we called three local IT support providers for a time-sensitive project. A FullScope representative was at our site resolving the issue before the competition even responded to our initial inquiry. In the age of outsourcing, it is rare to find a team of experts that actually value our business. We will certainly recommend FullScope to our friends and associates. Since we started using FullScope IT our computer network has never run better. We have done upgrades and they completely rebuilt our network into a virtual environment with minimal staff interruption or problems. Support response is timely and effective. I can count on them to do the job right and with integrity! Ryan and his company FullScope IT are great! He and his colleagues are always professional, knowledgeable and helpful. The company has done a superlative job in recommending, implementing, maintaining and troubleshooting our servers and systems. Not a day goes by when our company is not in touch with Ryan and FullScope. He and his colleagues are always professional, knowledgeable and helpful. I very much enjoy working with Ryan and FullScope and I can count on them to do the job right and with integrity. Once again, you guys were incredibly helpful and everything went smoothly. Your service sets a gold standard for Tech Support. Keep up the good work!!! hanks for reinstating my client from 2018. It saved me a days work to reinstall all of their tax information. You made my week a lot easier. Excellent and fast response as usual! Appreciated that you were able to fix my issue after hours. Thanks!